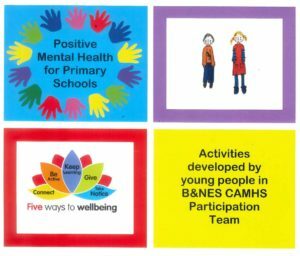 This pack contains a range of activities suitable for children in primary school to promote and support positive mental health and reduce stigma. They can be used in PSHE & circle time sessions, with nurture groups or on a one-to-one basis. We would like to thank in particular Becky Proctor of the CAMHS Participation Team, who has spent a huge amount of time in developing these activities. She has done her best to ensure that they will provide a fun and accessible way for children to learn about mental health in the hope that children will be better equipped to support themselves and their friends when they are experiencing difficulties. Gill Welsh, the CAMHS Participation Lead, also deserves a special mention for all her work with the collation, editing and layout of the materials. CAMHS is a specialist service, provided by Oxford Health NHS Foundation Trust, which helps children and young people with a variety of mental health issues. The CAMHS Participation Team is a group of children and young people have direct personal experience of dealing with mental health issues and are passionate about using their experience to challenge stigma and raise awareness of mental health among their peers. Where do I feel emotions in my body?